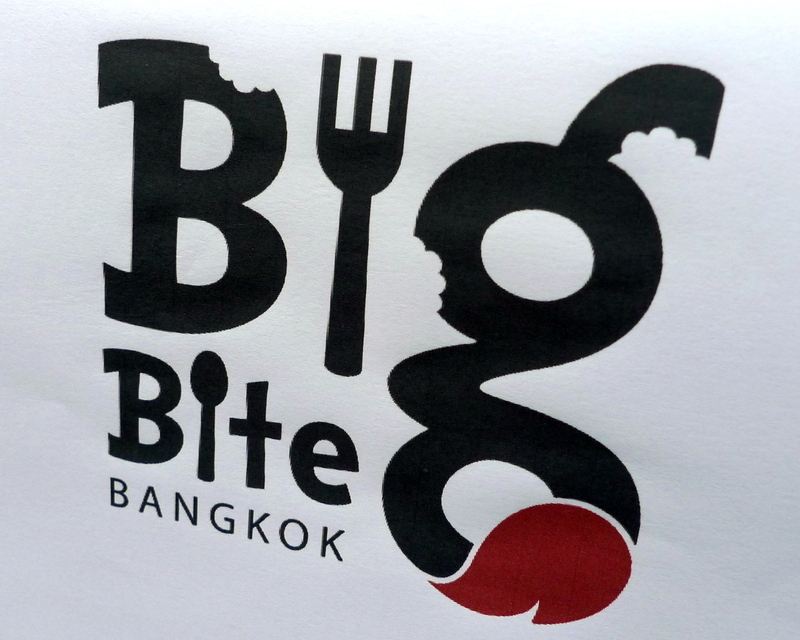 Last Sunday I attended a small fundraiser-slash-food market called Big Bite Bangkok. Originally scheduled for World Food Day last October, it was twice postponed due to the flooding. 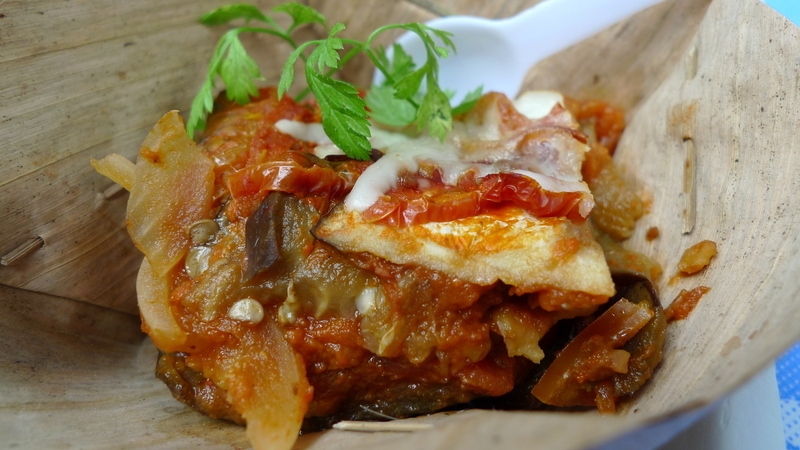 While the scale was small – ten vendors and perhaps 150 attendees – it was a good turnout for the first occurrence of this event and many members of the Bangkok foodie scene from chefs to bloggers were present. Bit Bite Bangkok was organized by In Search of Sanuk, a small organization that is trying to help those in and around Bangkok who fall through the cracks of other, larger NGO and charity organizations, especially at-risk families. 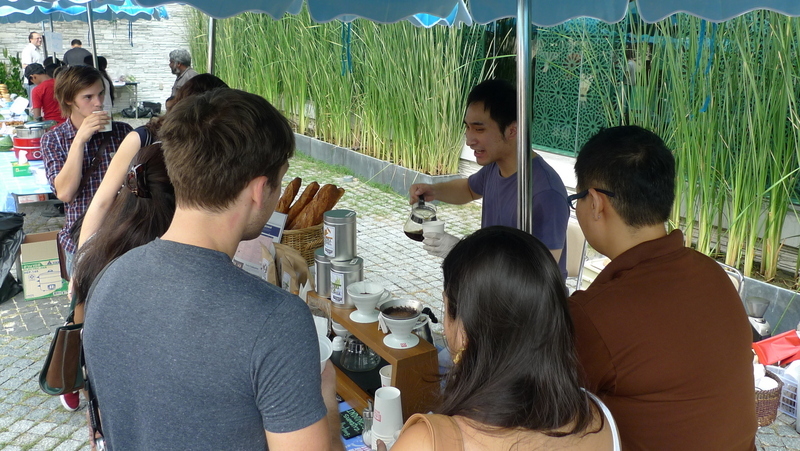 Set up in the parking lot of the stylish Ma Du Zi boutique hotel on Asoke Road, Big Bite Bangkok included vendors such as Adams Organic. I’ll be visiting their farm in Korat on Monday, so stay tuned for the behind-the-scenes story about how this American couple and their Thai relatives are pushing the gospel of organic produce. Other vendors included Roast Coffee & Eatery, serving their own roast of coffee, and BKK Bagel Bakery – the only source of authentic New York-style bagels in the Big Mango. One of the vendors was a Sri Lankan family, selling homemade treats from their kitchen. 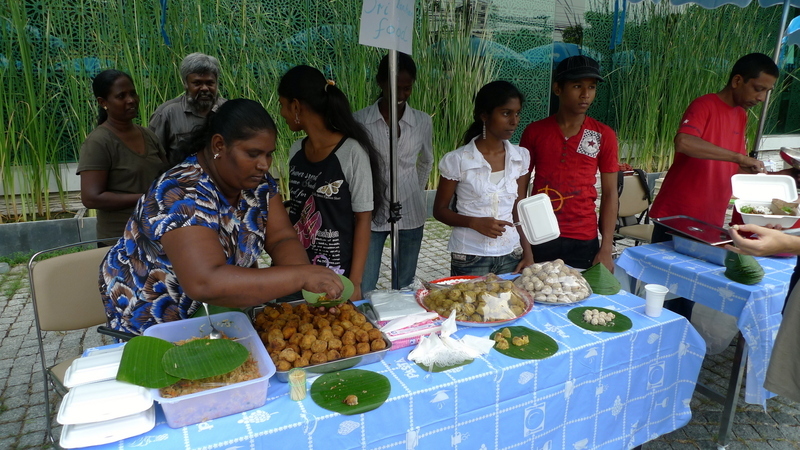 The balls on the left (the ones the woman is scooping into a banana leaf tray) are a fish and potato croquette. The ones on the right are desserts. Sadly, I did not capture the name. Birds in a Row, the catering arm of the tiny Seven Spoons restaurant (which I’ve twice visited but have yet to write about) featured some tasty Mediterranean inspired foods such as these lentil-stuffed bell peppers, left, and an eggplant casserole. I spent most of my morning (and early afternoon) hanging out by Chow’s table, where she was selling homemade Sai Oua, a Northern Thai style pork sausage. Since I had helped stuff all the sausage (my, that sausage stuffer attachment for the KitchenAid mixer has sure paid off! ), I felt some responsibility to provide moral support to its seller. Look at that lovely sausage! 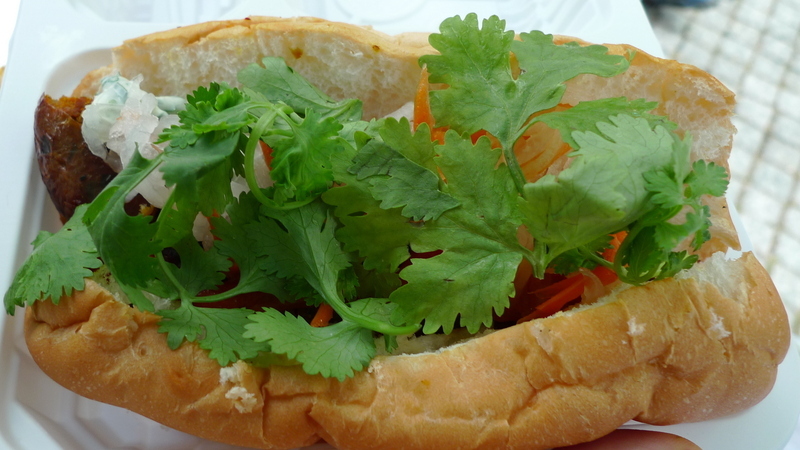 Served almost Vietnamese style in a French roll with homemade roasted tomato ketchup, coriander sauce, pickled carrots and daikon radish, and some fresh coriander. Tasty! This event was a lot of work to prepare so I’m not sure if it will happen very often, perhaps quarterly. Next time, though, I’ll bake something to sell and do more to contribute to the cause. This entry was posted in Uncategorized and tagged Bangkok, Big, Bite, food, Krungthep, Thailand by christao408. Bookmark the permalink. Yummie! Although I am pretty stuffed at the time of writing this, I am getting hungry seeing the food. I see alot of Americans in the picture ? Lot of them living in Bangkok ? The food looks delicious. I do love Food Fairs. There is a Greek Fair this weekend – if I can make it! That roll I am sure was good. Those Vietnamese sure know how to bake bread. I had some croissants in Chinatown NY at a Vietnamese bakery and I was in love with bread again.But It all looks yummy.I had some Dolsot Bibimbap last night and am so glad for international food in my area. You are so lucky. that looks delicious, and seems like a lot of fun! it kind of reminds me of the “taste of honolulu” event that happens every year, which is sadly not going to be held anymore. it was a huge event though; my friend worked there every year and one year i went to help out, but all the people there were official chefs or food vendors, so it was’t really a grassroots kind of thing. still, it was a good experience. how does your event work – are all the participants official restauranteurs, or is anyone able to participate?hopefully that event will continue to grow! Looks very tasty. I just got back from the grocery and they had half pints of blackberries 2/$4, pints of blueberries 2/$4 and half pints of red raspberries 2/$5. Yes, I stocked up. So far the blueberries are delicious. (I’m sorry, I’m being cruel.) I hope the event was financially successful and will be continued! It sounds like a very worthy charity. Glad to see there’s some sort of food fair in town. I hope to see more of these organic farmers selling their products. 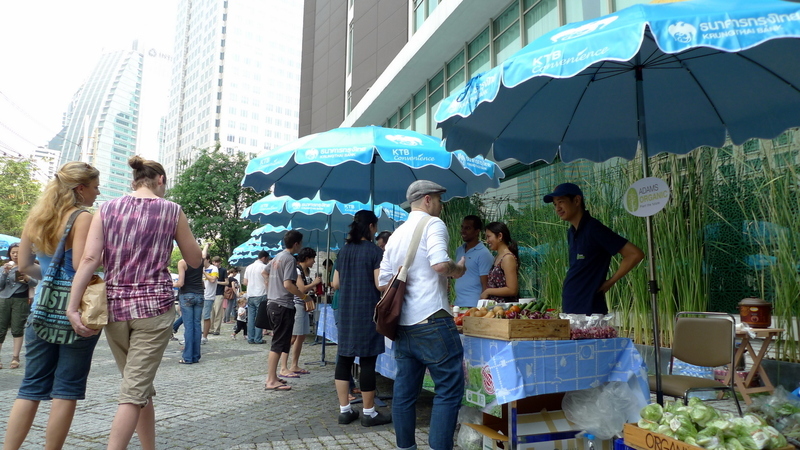 Is there a profitable organic produce business in Bangkok? Pretty pictures, Chris. The food looks really nice. Excellent cause. And the lentil one sounds great. Thank you for sharing! Okay, you’ve done it again! I was hungry before checking this out and now feel starved….which I’m not, but it IS past my dinner time so will sign off and get something but sure wish I could just pluck it off this laptop’s screen. 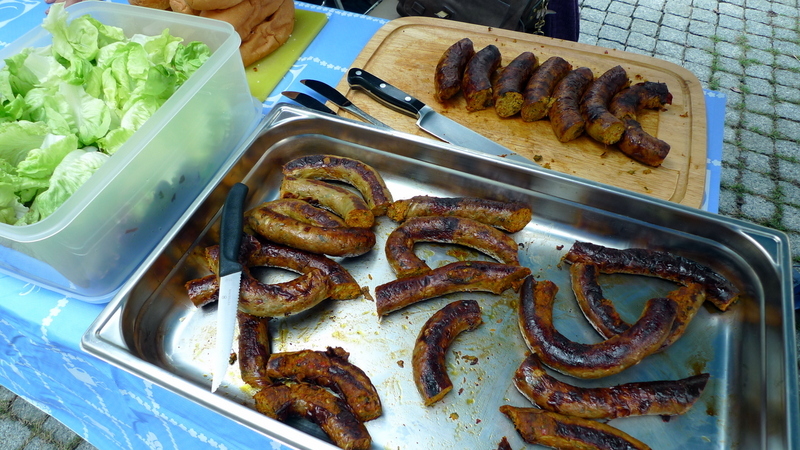 That sausage looks soooo good as well as the other stuff. You’ve got to stop doing this, Chris…well guess I’m the one that just needs to develop some self discipline and appetite control! Beautiful photos….am salivating so ‘bye for now. Oh I just love these types of food festivals. I WANT SOME!! if only we have that sort of event here. @CurryPuffy – Well, I’ll tell you, Gary, that yesterday I drove up to the Adams Organic farm in Korat and learn first-hand what organic farming in Thailand is all about. Stay tuned for an entry on that. @murisopsis – I’m curious where those berries are from. Not berry season in the US, is it? @kunhuo42 – Anyone is welcome to participate. About half the folks participating were not professionals. Chow and I are discussing other ways we can participate in the future. @Ikwa – In this case, the bread wasn’t as good as a really nice baguette. The best French bakery in town is closed Sunday, so we couldn’t get the bread there. (I know, a bakery closed on Sunday? Strange, right? )@The_Eyes_Of_A_Painter – Many of the people are actually not Americans but Europeans and Australians. 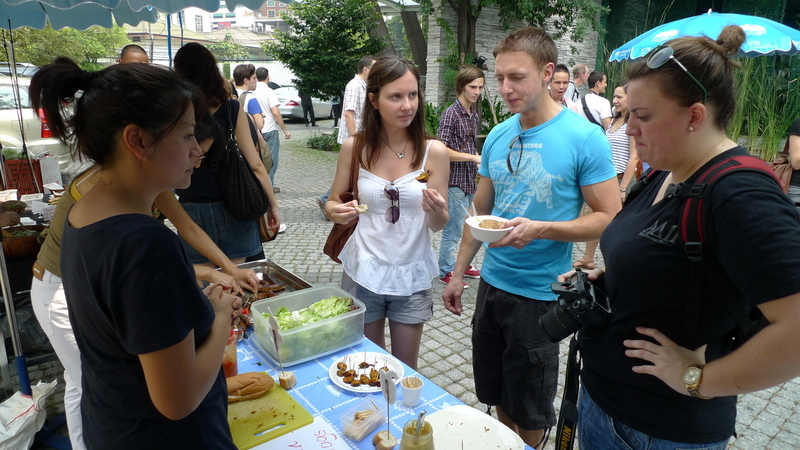 There are a lot of expats and since this event was advertised word of mouth – and in English! – it spread rapidly among the expat circle. @beowulf222 – @Gma_Joyce – Sorry for causing hunger. @rudyhou – It is up to you to start it! @ElusiveWords – @Fatcat723 – Yes, those types of events are a lot of fun. @stepaside_loser – Glad you liked it! 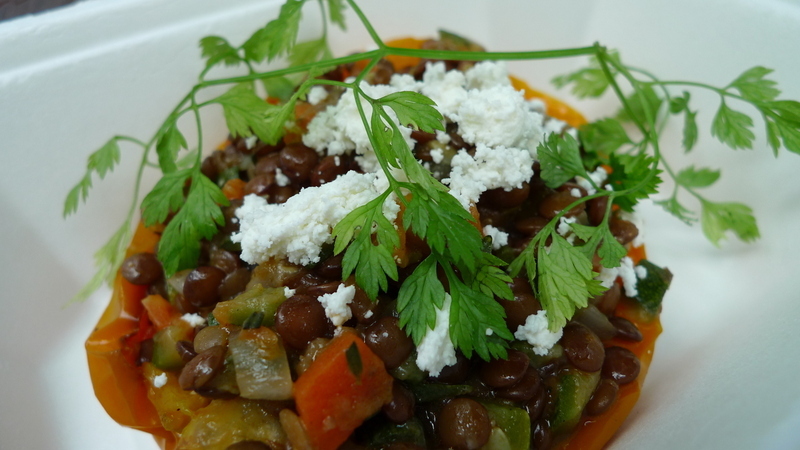 @nov_way – Lentils were just a little underseasoned… =(@grannykaren – They were really interesting. I’m kicking myself for not writing down what they are called. Such a great cause. The food looks so fresh and delicious I am sure. Some- day, someday, I will walk with you to these places.